Tom Dart – Compassion or Deflection? 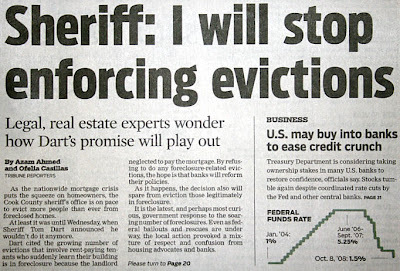 Chicago’s Cook County Sheriff Tom Dart made national news yesterday by declaring he would not do the part of his job that involves evicting people from their homes. I saw the story below the Bill O’Reilly Show on Fox News. 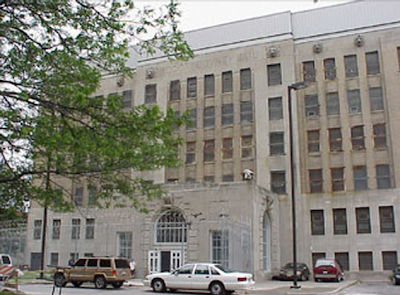 The day of his announcement, however, there was another story of significance about the Cook County Jail that Dart runs. His office was sued for allowing an inmate to commit suicide. Could Dart’s announcement be to deflect attention to the suit regarding the Cook County inmate suicide? With less than a week left to serve, 25-year old Nicholas Grossi choked himself with a sheet. After reading the report, I urged Sheriff Dart to just throw up his hands, admit that to cure the jail’s problems required more money that he could pry out of the Cook County Board and ask the Federal judge to take control of making the jail safe and sanitary.